Your browser does not support iframes. Please call American Tree Service at 410.825.7575. American Tree Service has provided friendly, professional arborist service to residential and commercial customers in the Baltimore, MD area since 1995. We are fully licensed & insured and are here to help with all your tree care needs large and small. We have the expertise and equipment to offer you the most complete tree service at a cost effective affordable price. 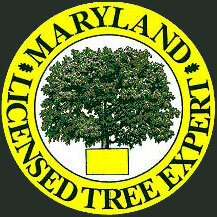 We take pride as Baltimore's best tree company, call us for a free estimate today! American Tree Service in locally owned and operated and has serviced historic, commercial, and other interesting properties as well as thousands of local Baltimore home owners. We take pride in producing a great and timely outcome on all jobs whether the Bradford Pear in your front yard needs a little trimming or you have extensive commercial needs. Getting started is easy and all tree service estimate are free. Click here to contact us today for all jobs large and small. Let American Tree Service help you with all your tree care needs. Our Customer Satisfaction Is Important To Us! Trimming a tree effectively helps to maintain its shape and appearance. Dead or broken branches and limbs can fall off at any time, which is a serious safety hazard or potentially deadly. Deadwood should be removed as soon as possible. Tree limbs and branches also occasionally grow too close to houses or utility lines and should be trimmed before they cause damage. Routinely thinning out overgrowth is healthier for your tree, allowing for a faster recovery as appose to topping your tree. Removing of a tree is often the last option, nonetheless it may be necessary when a tree becomes a hazard to individuals as well as property. When your tree begins dropping dead limbs and you notice less foliage, scheduling a tree removal prior to the tree fully dying will protect from larger issues. Tree removal is also an option when it is located in an area where a new structure is considered, or if it creates a blockage that is difficult to deal with by means of mere pruning. After a tree is removed, stump grinding and removal is an available option to reclaim your lawn or to plant a new tree. Storms and neglected dead trees can often cause an emergency situation where a tree or large limb have come down on a building, vehicle, or other structure. It is strongly recommended that you hire one of Baltimore's best tree companies to address the situation. A section of tree that has come down on it's own is often under pressure and requires professional equipment and experience to safely remove without causing injury or further damage. Care for your trees needs to be done by skilled, trained, and insured professionals for both the health and beauty of your trees and for your personal safety. Not only arborist but also homeowners are killed doing tree work every year. For your safety, do not perform tree work! For your protection, hire a company that is professional. If the company doesn't have insurance or is not a licensed expert - you, the homeowner - could be held responsible as a contractor. As trees grow in all shapes and sizes, it is important to schedule a tree company estimator to personally take a look at your unique needs and answer any questions you may have. American Tree Service estimates are always free and a written proposal is available upon request. The largest factors that affect tree service cost in Baltimore is the estimated time and equipment needed to safely complete the job. A few factors to consider when reviewing estimate cost are... Does your job require one or more experienced climbers to safely piece apart your tree, or maybe heavy equipment such as a crane? Is your tree easily accessible from the street or does the job site require removal of logs and limbs to be additionally cut and moved a long distance before it can be chipped or hauled away? Is your tree located over and around objects that can be easily damaged? Also consider if there are additional time requirements such as setting special rigging or scheduling a BGE power line drop? Some or all of these factors can greatly affect pricing on similar trees in different property locations and situations. It is also worth noting that when needed, heavy equipment such as a crane or logging truck often outweigh extensive man hours and can greatly reduce overall costs. American Tree Service will always strive for the safest and most cost effective approach to complete your job and offer the best price. Your estimator will offer you the best service option for your unique situation and explain how the service will be completed. As with any hired contractor, ask questions and feel confident that your tree company can safely complete the suggested service and is fully licensed and insured. American Tree Service has proudly serviced thousands of local Maryland homeowners. We care about your property and all individual needs you may have. Contact us today about any questions you may have. American Tree Service is fully licensed and insured including full workers comp insurance, all documents available upon request. We offer itemized bidding along with bulk day rate services. You didn't just trim my tree, you sculpted a beautiful design. I wouldn't have believed that a tree could have been shaped to look so beautiful. I have to keep going back and admiring your work of art. Thanks so much. Thanks for the quick service on removing the tree for us. You also did a great job on taking out the stumps. Hard to tell you were here. You will be #1 on my referral list and hope to do business with you. I would like to say that it was a pleasure doing business with you. As you know, we have two very large oak trees in our back yard which you & your team quickly & diligently trimmed. Your customer service is among the best. Our customer satisfaction is important to us, read our Google reviews. Satisfied with our services, we appreciate your review! baldwin, baltimore city, bowleys quarters, canton, carney, catonsville, chase, cockeysville, fallston, glen arm, hampden, hampton, hunt valley, joppatowne, kingsville, loch raven, long green, lutherville, middle river, north baltimore, nottingham, overlea, owings mills, parkville, perry hall, phoenix, pikesville, randallstown, reisterstown, rosedale, timonium, towson, white marsh, and surrounding areas!